We host Trivia Night every Thursday evening from 7pm-9pm. Your $5 donation at the door goes directly toward our monthly charity. Burrito Jax will be here serving up some delicious burritos! 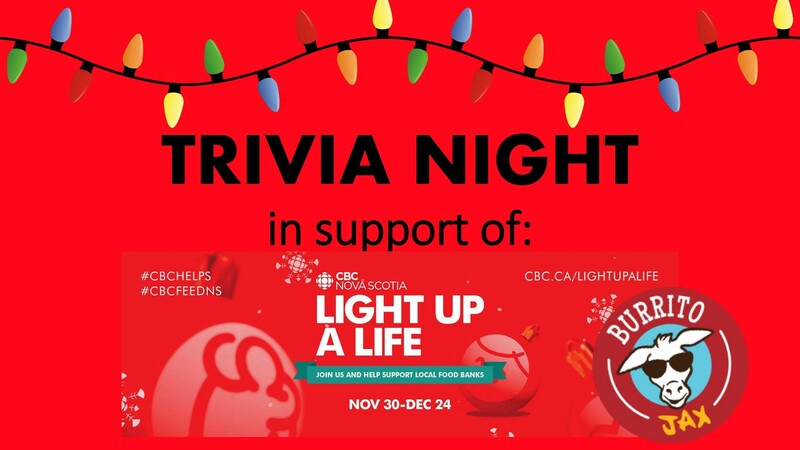 CBC Cape Breton's annual Light up a Life campaign is underway, raising food and money for Feed Nova Scotia. Help make the holidays a little brighter for those in need. Drop by CBC Cape Breton at 500 George St. in Sydney between Nov. 30 and Dec. 24 with your donation.